We will use the usual aspects from Fate Accelerated. I could see retooling them in a couple of others ways. For example, four Approaches affiliated with the Seasonal Courts. Use Summer for Aggression; Winter for Avoidance; and so on. Alternately, you could have Approaches built on the different Seemings. Your Ogre trait represents brute force, your Darkling covers quiet and hidden. That has some advantages for color, but it could create some confusion. Since this version relies a good deal on player knowledge and assumptions about the background already, I’ll stick with the standard Approaches. Again, we stick with the classic set-up for Aspects: High-Concept, Trouble, plus three others. Players should integrate their Seeming, Kith, and/or Court into one or more of those aspects. If we were starting from scratch, I’d probably make that a more formal requirement. Morosa Scorned, our Ogre Witchtooth/Clotheshorse, came up with the following aspects. She’s tweaked them a couple of times. These may not be the final versions. This offers the most potential complexity. The elaborate and developed Contract lists from the CtL books are awesome and interesting. But they do get lost in the shuffle when we’re playing short sessions. So we want a flexible but colorful system that still has some limitations. Changelings aren’t Mages- they have some restrictions and drawbacks. So how to work that in? In this FAE version, players pick up Contracts as an Extra. They buy these as a full Contract set (Contracts of Oath & Punishment, Contracts of the Moon, Contracts of Separation). We don’t worry about the individual levels. That removes some of the granularity and it fits better with the FAE approach. What can you do with Contracts? Primarily they act as a kind of meta-aspect, in the same way people have been handling super-powers in other FAE mods. You can use them like an aspect to gain a reroll or add a +2 to your roll. More importantly, they can be used to create an effect- a significant change to the environment, to break the normal rules of the mundane world, using an ability in a new way. The nature of the Contract determines the spirit of what a Changeling can do with it. Contracts of the Den relate to a Changeling’s Hollow, so if they wanted to set up wards & alarms, craft a penalty for those entering their sanctuary, or find a quick exit to their safe house, they would invoke that. Generally a player will say what they want to do with their Contract. If it is simply about a +2 or reroll, they do their normal spend of a Fate point. If it is something else, the GM will have them make a roll based on an Approach. The GM can set the difficulty higher or lower based on the power and scope of what the Changeling’s trying to do. The GM should give the player a sense of that difficulty. If an effect is unusual or would ramifications lasting longer than a scene, the GM may ask that the player either spend a Fate point or take a point of Composure Stress. The player has the option to rescope their effect if they wish. The GM should considering using Compels on players when they’re in the middle of using Contracts. Invoking such powers should involve some risk. It’s a great time to tug on Trouble Aspects and other details. After a scene in which a Changeling has used a Contract for effect other than a +2 or a reroll, they suffer a point of Composure stress. They can mark off a box or take a Consequence. This represents both the use of the Glamour resource and the strain on their Clarity. Players may avoid this damage by spending a Fate point. They may also take consequences. Otherwise they’ll have to engage in the usual Changeling glamour harvesting actions in order to recover their Composure. Composure damage for Changelings can only be healed through these methods. In play that means using up Hedge Fruit/People (see below) or spending time harvesting from mundanes. Play that out if you think it would be fun; otherwise this rule exists to simulate the resource management from the original game and to put pressure on Changelings who have to move from conflict to conflict. Hedge Fruit/People: Players might have access to hedge fruit, a classic detail in CtL. Alternately, they may have cultivated a person or group of persons with emotional resonance they can draw Glamour from. This can be represented by a thing with a number of stress boxes. Each time the Changeling uses the resource for covering their Composure loss, mark off a box. When all of the boxes have been marked off, the player must undertake some action to renew them. They either have to forage out into the Hedge for more and different fruit, they have to renew their vows and bonds with an artist, or perhaps there’s some threat to them they need to take care of. This is another version of Plot Stress from Legends of Anglerre. Catches: In original Changeling, characters use catches on Contracts to reduce the glamour spend. In general, I’m assuming that method’s being used here in practice. It is folded into the other mechanics. However, GMs may allow a player to make a significant sacrifice in order to cover the cost of using a Contract in play (in place of a Fate point or Composure stress). This should be the loss of something important: a friendship, a memory, a super-useful item. The GM should feel free to reject weak offers or those without some narration. These rules assume some familiarity with the Contracts from the original Changeling the Lost. Some of the Contracts from that have names that don’t exactly describe what they’re actually about. This system does allow for players to more easily come up with new Contracts- and I think that’s an awesome advantage. I’m not going to worry about detailing Stunts. I’d use these to represent things like Advantages from the original WoD version or objects like tokens. Generally I’d dispense with them unless they fit with a player’s conception. If a player wants a Stunt I’d use the relative value weight of two Stunts = One Contract. This is a slightly higher magic world, with a slightly different economy to the Fate points based on the Contracts. I suspect I’ll have players begin with a refresh 1 or 2 higher. Players have two Stress tracks, one for Physical and one for Composure. Both begin with three boxes. I’ll have to look at how I want to handle Milestones and how Contracts fit into that- should they take the place of Stunts in that conception? I’m not sure yet. Right now we’re converting characters over so I have to figure out those numbers. I should also work out basics of how you’d build a character for a new Changeling FAE campaign. On Monday I posted the player-generated details from between campaign arcs for our superhero campaign. Last week I posted the "teaser" bits I gave them before the newest arc began. Last night we had session two and I handed off a series of news articles. That's a classic technique I'm sure most superhero GMs use. These reinforce player victories, elaborate a little on some character backgrounds, and set up plot points and threads for the group to follow. They're solid players and I had to do very little to get them digging and following up on threads. 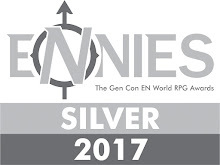 I like to do news articles every several sessions- to recap what's happened, show after effects, tie a bow on some things the players have done, and set up some more ideas. It is like pedaling a bicycle. I pedal quickly and then coast for a while. As the campaign continues, we start to go downhill and I don't have to pedal anymore. I don't do much in the way of news for the third act of the campaign. They've already got enough to worry about by that time so I don't want to introduce new threads. One last note about news reports, they'll often have unintended consequences- with players wanting to follow up on something you thought wasn't a point. That makes them awesome. New York State Troopers took control of the scene of devastation following a previously unknown super-villain group’s attack on the Geroldy Amusement Park. Witnesses on site described a group of garishly clad carnival-like attackers appear from nowhere. Upon arrival they spread out to destroy sections of the park, aiming for maximum mayhem. On-site security’s attempts to deal with them left dozen injured, some critically. While many park-goers managed to escap, dozens suffered injuries in the stampede. Within minutes First Wave arrived on the scene. They swiftly moved to mitigate damage, rescue bystanders, and deal with the most dangerous of the criminals. The battle raged across the grounds and seemed to go against the team. “I saw Mr. Freeze go down and I thought we were doomed,” said one witness, “but then he staggered to his feet and kept going. He’s a real hero.” Authorities say most of the damage occurred before the arrival of First Wave with all section of the park damaged, including the legendary roller coaster, The Devastator. Police took the criminals into custody but thus far have released no details as to their identities or possible motivation. Inside sources have suggested a link to the recent mysterious “Wushu Thug” and “Cyber-Anarchist” attacks. DHS Security Specialist Dennis Fairchild was grilled for a second day concerning lapses in DHS containment and custody protocols. Fairchild, once an up and comer in the DHS’ new metahuman division, found himself without reasonable answers. The disappearance from custody of at least three superbeings including the former Morlock leader Callisto, DethCroc, and Inque have raised questions about the department’s ability to handle such criminals. The more conspiracy-minded have suggested the government moved these accused villains to black sites, outside normal US legal jurisdictions. A lawyer for Mr. Freeze filed a suit in Federal Court earlier this week asking the government to produce Callisto or offer evidence to back their statements that she vanished from custody without a trace. The return of superhero “Stretch” Jackson to New York set off a firestorm across the political spectrum. Conservative commentators have condemned the former private eye for his outspoken statements on politics, racism, and poverty. “Jackson’s admission to First Wave merely reinforces the left-wing agenda of that group. Between Mister Miracle’s anarchist rants, Mr. Freeze’s assaults on necessary security measures, and so-called Thor’s anti-Christian Pagan agenda, I think we can safely say that this group has politicized superherodom,” stated Right-Wing radio host and rapper Go-Def Rigorously. At the same time, many on the right praise Jackson for his takedown of the corrupt administration of Chicago Mayor Rahm Emmanuel and his revelation of the identities of at least a dozen local vigilantes and superheroes. That incident has made Jackson something of a pariah on the left. Several liberal groups expressed their dismay at the hero’s acceptance in First Wave. At this time, the superhero team has issued no formal statement on the matter. Oscorp announced today final acquisitions of Hammer Industries following a series of lawsuits and hostile negotiations. Hammer, once seen as a high-level competitor to Stark Industries and Queen Developments, fell on hard times following the July 4th Attacks. While known for armaments and defense contracts, the company had interests in private security firms, international trade, and even satellite imaging. Like several other major corporations targeted by the terrorist attacks, Hammer lost nearly the entirety of its board of directors. The loss of CEO Justin Hammer left the company without a defining vision. Unable to meet deadlines for government contracts, even with generous extensions, Hammer Industries began to spin off divisions at an alarming rate. Yet despite that weak position, the new board of directors fought Oscorp’s takeover bitterly. CEO Harry Osbourne announced that Hammer would be rededicated to Oscorp’s current projects- supervising the development of a Federal Superhuman containment facility and assorted other automated security investments. Meteorologists expect Tropical Depression Arthur to make landfall in the next twenty-four hours in New York. First responders and disaster relief teams have been called up for duty. The weather system which has developed at an accelerated rate began to buffet the city last night. The first major storm system of the season, Arthur could cause damage and disruption across the eastern seaboard. New York has had relatively calm weather since last year’s Starro Incident and the accompanying near-hurricane conditions which followed. City officials suspended reconstruction projects at the Kaiju Attack sites in preparation for the dangerous weather. Paramount confirmed that the world premiere of the First Wave film will take place in New York rather than Los Angeles. Speculation had been running high as NYC continues reconstruction efforts following the extra-dimensional attack thwarted by members of First Wave and their allies. Paramount executives’ moves to relocate the premiere set off internet rage, leading members of the team stepping up to ask that it remain in their hometown. Director Joss Whedon expressed his pleasure at the final decision. “From the start we’ve been hoping to open the movie in this great city. It just wouldn’t be right anywhere else.” While many guests have been confirmed, including the stars of the film, Paramount has been quiet on the question of the heroes themselves being on stage. Some have expressed fear about the dangers such a gathering could pose. Many involved with the film’s production have been targeted with death threats from radical Anti-Mutant and Terran Supremacists. LexCorp broke ground on another series of restoration and memorial projects aimed at healing the wounds of the July 4th attacks. In the two years since the attack LexCorp has put aside a percentage of revenue to fund “Bravery” Initiatives. Where possible, these projects purchase and clean up the industrial sites targeted in the terrorist attack. They then convert these into memorials, public facilities, or multi-use research centers. LexCorp originally began the project to help clear the gridlock surrounding the clean-up and rehabilitation of the locations. Chemical disposal, the collapse of the owning company, and local protests all complicated decisions about what to do with the sites. LexCorp has worked closely with local officials to come to an amicable settlement. CEO Franklin Richards indicated that the transfer of Roxxon Oil, Omni Consumer Products, and Xanatos Enterprises plots would be the last the company would undertake. NYU students and staff remained shocked today by the murder-suicide of respected Professor of Physics Dr. Martin Stein. Stein, holder of the Kahn prize in Theoretical Physics, took his own life after killing his wife, step-daughter, and two research assistants. Anonymous sources say that the well-ragarded instructor had become increasingly unstable in recent months. His infant son died during the Starro incident and following that he’d become obsessed with what many describe as “fringe” science revolving around paranormal abilities. Despite that he’d published several heavily-cited articles attempting to chart out new approaches in the field for hard scientists. One anonymous former colleague of Stein said that changed at the beginning of the year. “He became absolutely convinced of a doomsday scenario based on discredited theories about geomagnetic reversal. He wouldn’t let it go.” Stein is survived by his daughter. A vigil will be held this evening on the NYU campus, weather permitting. Some of the players wrote up short blurbs talking about what they'd done between campaign arcs of our Mutants & Masterminds campaign, First Wave. Dr. Victor Freize (aka Mr Freeze) officially opened his School for Gifted Youngsters today during a ribbon cutting ceremony in a high tech building near the Stark Tech Center. Freize told the audience that there was finally a place for gifted youngsters to thrive and learn to control their abilities without enslaving the students for other purposes. Freize remarked the school is completely self-funded by government grants and fees paid by the students who work as industrial consultants for various firms while tuition is generally free. The students are free to work or not and all consulting is at the school or under supervision to ensure no restricted or improper use of abilities occurs. In a surprise move yesterday at the end of the business day, Tony Stark (CEO of Stark Industries) announced his retirement from the Board, and the Transfer of his majority stock holdings to an as yet unnamed individual. Mr. Stark cited the increase of Supervillian activity as the primary reason for his retirement. “In the wake of the Troubles our city has faced over the last couple months, from Giant Monsters to nefarious villains, its become increasingly apparent to me that the world need Iron Man™ more than it needs another Corporate Executive, no matter how good looking and incredibly humble said individual may be.”, said Mr. Stark on Friday at a hastily organized press conference. Mr. Stark also indicated that he would be liquidating all his family assets and pledging them to a trust fund for those victims of the fallout of superhero battles, such as the tragedy our city suffered last month. I find myself still reeling from the revelations that culminated with our battle with Hela. I find the very moorings of my identity shaken. I am not Tony Stark. I am a placeholder, a contingency plan… but I am no puppet. I am not Tony stark, and that is a good thing. However, this leaves me with a quandary… I have no right to Stark Industries… indeed, it’s an empire built on bloodmoney and cabal corruption. Further, it is a crutch and powerbase for our enemies should Kang (or any other of his contingency clones) resurface. I think the best thing I can do for the world is disassociate “Tony Stark” from this power base. I’m selling everything of his I can find, and donating it to a charity. I am transferring my stock to the one person at Stark I know I can trust, Ms. Pepper Potts (just like the movie for mostly similar reasons). Whether she takes a public presence in the company or remains behind the scenes, is up to her. I will be retaining all the rights to Ironman™, marketing proceeds, and well as a paid consultancy at Stark Industries as I have no intention of being poor *shudder*. Besides it takes quite a bit of resources to keep operating as Ironman. But our enemies will find no benefit from our shared likeness. Mister Miracle, true to form, has been attracting media attention and courting controversy since the battle with Hela. In a press conference shortly after the battle, he announced that he would no longer be performing his escape show as " after literally wrestling with a death god before the eyes of the world, I cannot think of a more spectacular escape to perform." He did cryptically assure the assembled journalists that he was working on something that might top it. The end of his escape show did not mean his escape from the public eye, however. He joined with the now public Luchadores in the formation of the Unlimited Class Wrestling Federation. Combining the legacy of the deceased luchador Muerte del Vampiros with his own recent victory over Hela, he assumed the in-ring persona of El Hijo del Muerte, losing to Super Hombre in the inaugural title tournament. He has also formed a tag team with the young mutant Leech, who competes as Juventud Milagro. Outside the ring, Kid Miracle has occasionally joined Mister Miracle in his crime fighting activities. Miracle has even begun taking his protégé on trips to Apokolips to study the technique of building his own mother box with Himon. Even without the knowledge of these trans-dimensional journeys, some in the media question the wisdom of including young superhumans, who they derisively refer to as 'teen-age sidekicks", in vigilante activities. In his spare time Mister Miracle began a study of the Illuminati prison crystal, which has become an increasing obsession. So fascinated is he by its mysteries that he's started secretly making the forbidden journey to new Genesis to consult with Metron. His interest has grown to such an extent that friends are beginning to worry about him. What worries those closest to him even more, is that they are beginning to suspect that he is looking for a way IN rather than a way to get the prisoners out. Beginning of the year has ended up being a wild card series of new games and campaign starts. Between people having time off for the holidays and various campaigns having ended, I wasn’t sure what kind of gaming I’d get in. As it turned out, some pretty awesome and new stuff. Here’s part one. Fate Core: We’d been scheduled for our Legend of the Five Rings campaign on Sunday, but ended up two players short. These two have historically been the ones who miss, so some time ago the remaining three had built a “side-story” campaign. We'd used Microscope to create a city, which you can see the details on here. Of course this time I’d prepped for the L5R game since one of the no-shows hadn’t given notice. So I had to quickly come up with a story for the group to play out. I’m decent at improvising, but usually I have played and done some thinking ahead of time to make things easier. I know the world, have run other stories there, or have PCs with strong identities who can drive the action. For Grey Reign, we’ve only done three sessions prior to this and there’s a significant gap of months between sessions. I asked for fifteen minutes to prep and left the room. Upstairs I used the random adventure detail generator from Shadows Over Vathak to put together a set of ideas, including aspects for NPCs. A concept came to me and I shaped the material to it. We ended up with an investigation game, with the players hired to find out why an Opera Diva had rejected her wealthy sugar-daddy patron. That led to tales of cancelled concerts, other vanished artists, weakened magical wards, a secret library vault, and a mad scientist who implanted a supernatural songbird in his client’s throat. I was pretty happy with the session and we wrapped up later than usual. Kingdom: The next day I had some people over and we tried out a five player session of Kingdom. Microscope’s been one of the most useful and fun gaming tools we’ve added, so I trusted Ben Robbins new product would be interesting. I read through the rules a couple of times and wrote a post with some first thoughts about how it might be used with other games. Kingdom again plays with time and scale, but offers a tighter focus on a community. For our session we had five players, one more than the game itself recommends for the first time. We set things up and selected the story of a spaceliner which has suffered catastrophic failure. Now the community has to figure out how to survive, contact rescue, and negotiate the tensions between guests and crew. We selected a “dry satire” tone, but ended up a little more dark by the conclusion. The game takes some getting used to. You have characters and identities, unlike Microscope. Play centers around “Crossroads” which are the challenges facing the community. We only ended up getting through one and a half (we reduced the checkboxes on the second crossroads). I think future plays will give me a better idea of how to balance time and move things when I’m teaching. I think Nick said it best when he suggested Kingdom feels more like Fiasco or Durance than it does like Microscope. But Sherri pointed out that it feels much more positive and exploratory than those. I’m looking forward to playing this some more. Superhero/OCI: This was a strange gaming evening. We'd wrapped up the Last Fleet campaign at the beginning of December. When we talked about what we wanted to do next- one player wanted some time off over the holidays, so we waited until this week to come back together. I figured he wouldn't be returning for some time (maybe not until summer or later) so I figured I'd try a one-shot or two and then talk with the group about what we wanted to play in the meantime. I emailed and said we’d do a one-shot, assuming this player wasn’t going to be there. So I spent several hours organizing and figuring out what good one-shot games I had. However, the time-off player said he'd actually be at the session. So I dropped that and replanned the session. I'd promised that player a particular kind of superhero campaign several years ago, so I set to work on that. I went back to my notes, sketched some campaign outlines, and did some thinking. Then I put together a 'prologue' one-shot which would set up some ideas for the campaign. I spent time designing pre-mades for M&M and got all of my stuff organized and ready. I was pretty happy with how the session would establish the campaign’s ideas and themes. GM's know what I'm about to say. The player arrived, but only for the one-shot...he wouldn't be returning for a campaign. And given that I'd built the campaign based on a request he'd made, I kind of didn't want to run it. And given that I'd set up the one-shot to really launch into that campaign, I didn't want to do that. It ended up one of those cases where poor communication really goofed things up. I should have emailed him to confirm/check his commitments. It didn't even occur to me and it should have. So anyway that's a bunch of hours of work kind of wasted. If I'd known it would be just the one shot, I would have finished getting one of the other games together. The M&M work isn't exactly wasted, but that's time I could have spent on any number of other projects this week. Lesson (I hope) learned. On the plus side, the group talked about what we wanted to do next and we'll probably move forward onto another campaign structure I've been wanting to do again for a few years now. Ocean City Interface revolves around multiple game worlds, with a central reality. It borrows a little from Amber, a little from Unknown Armies, and a little from Feng Shui. Each player will get to select a world of their own from a list. I posted that list last week. For the first session I started the group in the mercenary fantasy portal (notes on that here). That allowed me to show off how Action Cards will work for this campaign. I made some small tweaks to the system, in particular how we structure skills. They created a team of experts leading a company which had recently suffered a schism. 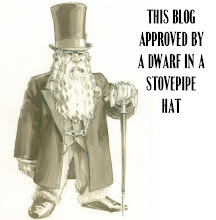 The players came up with interesting characters right out of the gate (Deadly Elven Sniper, Gruff Dwarven Bashkar, Misplaced Elven Medic, Cheaty Half-Elf Spellsword, Enthusiastic Human Sergeant, and Focused Fae-Blooded Fallen Noble). I set up the basic mission, did a few checks and got them to the site of their first major operation. Because we got started late and had character creation, we didn’t get very far. I plan to add some other aspects to the PCs next time (ala Dresden Files) and introduce the advancement rules. First Wave Series Three: We’ve been planning to do a third and final chapter of my Roll20 M&M campaign. The setting has a hodge-podge of elements from existing universes thrown into a blender. I’ve leaned heavily on reworkings of DC and Marvel plots mixed in with concepts like Ken Hite’s Adventures into Darkness. We’ve done two successful “series” of this campaign for a total of about 30 sessions. This one will be the “cosmic” arc ala the big event books. I sent out a teaser post to the players on New Year’s. For this arc we have the good fortune to have Gene Ha joining us. He played a few sessions in the first arc, with his take on Elongated Man, “Stretch” Jackson. Gene’s a busy guy, so I hope to set things up so he can drop in and out as he needs to. For the first session I wanted to get everyone back into the groove of their characters. They’re at Power Level 15- having started at PL 8. That makes them pretty hefty; I think the 13 was the highest PL I ran with M&M in previous campaigns. Some of the players wrote up news blurbs describing what they’d done in between arcs (I'll post those up; they're pretty great). I had them go over and expand on those ideas and got feedback from the other players. Then I jumped straight into a combat. Once again I did a callback to City of Heroes. Everyone had originally played that MMORPG together and that’s how the online play night had started. They fought the Carnival of Shadows from that game. Since we use abstracted zones, I can use more interesting maps. I found a semi-3d amusement park diagram for the fight locale. The session went well- I still need to get back in the groove and a little faster at resolution. The session ended with a teaser bit, as a female version of Nightcrawler fell out of the sky carrying a cryptic warning. NEXT TIME: Goblins, French Resistance, Destroyed Villages, and the Spider Clan. I've talked about First Wave before- my kitchen-sink mash-up Mutants & Masterminds campaign. The players picked classic heroes to re-do as "Year One" versions in a world with newly emerging superbeings. Iron Man, Mister Miracle, Nightcrawler, Mr. Freeze, and Thor/Loki make up the team. We've done two arcs so far (a little shy of 30 sessions) using Roll20. We're about to head into the third and final "cosmic" arc. I sent them out a teaser piece. Warning: this world is a crazy blender-ization of existing comic book ideas. No one came here willingly. His peers remained further away from this, his place of power. It was, as if to pay homage to the beliefs a place of burning, of stone, of shadows. But no screaming. Those here had gone far, far past screaming. It glowed red and the walls shifted with the souls of those condemned to this place. Shifted as they felt the presence of a newcomer, a visitor, an intruder. The Lord of this place moved himself a little to greet his visitor. “Nightmare.” He said simply. An acknowledgement and a threat. The white-skinned wanderer had not been asked to come here and yet he had. The lord of slumbering fears bowed and smiled. He could play the fool, a servant who carried out the wishes of other powers. “This one was a joke.” Kalibak chuckled as he threw the manacled being across the decking. The energies from the containments cracked and left great scorch marks in the steel panels. Outside he could hear the sounds of the Parademons as they let loose with fire, acid, and poison, destroying the massive orchards, fields, and greenhouses of this ancient seed ship. “Do you presume to question me?” His voice rolled like thunder. Darkseid turned his gaze to his son. “No…” Kalibak backed away, pulled his head in tight, a dog whimpering before his master. With a sudden burst of the energy chains shattered and the figured pulled himself up with his crooked staff. “No Darkseid…you shall not have it…” With a gesture, the room exploded with light, throwing back the forces of Apokolips. The ship shook and a mammoth crystal sphere tore open from the decks below. It hummed with energy. The burning light outlined a tiny figure within- another plant? a weapon? a ship? Kalibak staggered backward unsure of who to attack- the device or the Gardener. Behind him the hull breach sucked Kalibak’s forces into the void. Darkseid bellowed and the fire shot from his eyes- the Omega Beams. But the Gardener moved as well and threw himself into the path. Impossibly his energies turned and twisted Darkseid’s most potent weapon. One beam struck the crystal ship and it vanished, sucked into the chronal rift. The other pierced the Gardener and he fell back and then collapsed. The grandfather clock ticked over and struck midnight. In the distance he could hear the sound of fireworks, begun a little prematurely. A New Year. It promised much, the culmination of centuries of work. As with every project it had snowballed at the end and nearly turned to chaos. But now he knew what the endgame would look like and what it would cost. The clock rang out the hour. He’s seen it in Vienna during the Congress. A piece of exquisite German manufacture, he remembered it when he’d come through after the Kaiser’s defeat. It had utility and long ago he’d decided that the only keepsake’s he would allow himself would be useful ones- be they objects or people. Which brought him to his more recent acquisition. He moved to the chamber and carefully adjusted the gauges. His large hands inputted the dozen codes needs to activate the device and then the dozen more necessary to modify the failsafes. The mirrored interior of the device glowed and then a form coalesced. It formed into a ragged man who shook with rage. “NOT THIS TIME…” He screamed and trailed off. He looked around. “How long this time?” he asked quietly. He pressed a button and the field gave a little, for only a moment, but Kang reeled back screaming. More grey appeared at his temples. Kang slipped to the floor of the chamber, suddenly weak. “I will kill you when I escape.” Kang gasped. “Savage…” Kang beat his fist against the glass. He flipped the switch and the fields protecting Stark collapsed. His screams turned to dust in a matter of seconds. Apocalypse stood and looked out the window. The others had come and tried and failed. Now he would do as he planned. Kang had given him the measure of his opposition, what First Wave and the others might offer. He’d watched the security footage of their fights, seen their weaknesses…but still they would be useful. They would aid him in changing this world…and destroying his father. I'm getting ready for the launch of a couple campaigns: one as a final chapter, one as a reboot after a hiatus, and a third completely new. The new one, Ocean City Interface, is the most challenging. I hope make it easier by building on player input. There concept itself has been used twice locally; once by the GM who came up with it- Rob- and another time by me for a three year game. Here's what I've shared with them so far. In Ocean City Interface you take the role of a character living in City of Ocean aka Ocean City. Through strange circumstances you find yourself travelling to other worlds. There you take on other roles and personas. You must discover the challenges facing these worlds and solve problems facing your personas. Through these travels you find yourself allied with a group of fellow travelers and conflicting with others from these worlds and your own who have other agendas. These journeys hold secrets. Through interactions in the real “Alpha” world and in these other “Portal” worlds, you will piece together the puzzle. Ocean City lies in central California. In the near future it has become a major hub on many levels. It is a modest metropolis at the crossroads linking Northern (San Francisco) and Southern California (LA, San Diego) via high-speed rail. The modern airport and docks offer additional connections. City of Ocean is truly a city of tomorrow. Three decades ago city planners embarked on an ambitious plan to completely rewire and reconnect the city- with internet access, automated systems, and advanced power management. They coupled this to a complete rethinking of public transport- combining light rail, subways, buses, walkways, and even boats on the river running through the city. A high-tech wonder that rivals even the most wired cities of South Korea and Dubai, Ocean City has turned around its fortunes. That’s what the publicity campaigns tell people. But there’s still a darkness to this place and a history of shadows that no amount of looking forward can ignore. Alpha refers to both the ‘real world’ and your character who lives there. Portals are the different worlds your character travels to. Personas are the roles you take on within a portal. The Unfettered are those, including your character, who can travel to these portal worlds. The Panopticon is the strange in-between realm the Unfettered use to access the portals; it has another name in the game. Your Avatar is how you appear to other Unfettered in the Panopticon. What Kinds of Characters Should We Think About? We’ll talk about the formal specifics of characters eventually. What’s important right now is a concept. The Alpha setting is slightly in the future, with more high-tech and some sci-fi devices at hand. But it is also a weird world. I’ll leave it to you guys to decide how weird you want to make it. Your character is competent- skilled at what they do. That can be as mundane as a sanitation engineer or as fantastic as a wall-crawling break in artist. If you like they may also have something strange about them: a small superpower, a psychic talent, a unique item of power, the ability to do little spells. We can talk about what that involves. It shouldn’t be too potent- more a strange or useful odd thing. Of course all of your characters will have to work together as a group, so you want to take that into consideration. Their personality and profession should allow them to get along with other people. So a hit man for the mob might be a problem. My usual advice about not taking lone wolf, stubborn, or psychotic character traits or disadvantages applies here. There is one detail I need you to take into consideration: you are an orphan. Perhaps you were adopted as an infant or a young child; perhaps you went through the foster system; perhaps the story is more complicated than that. In any case, you may have parents but don’t know your biological ones. What System Will We Use? 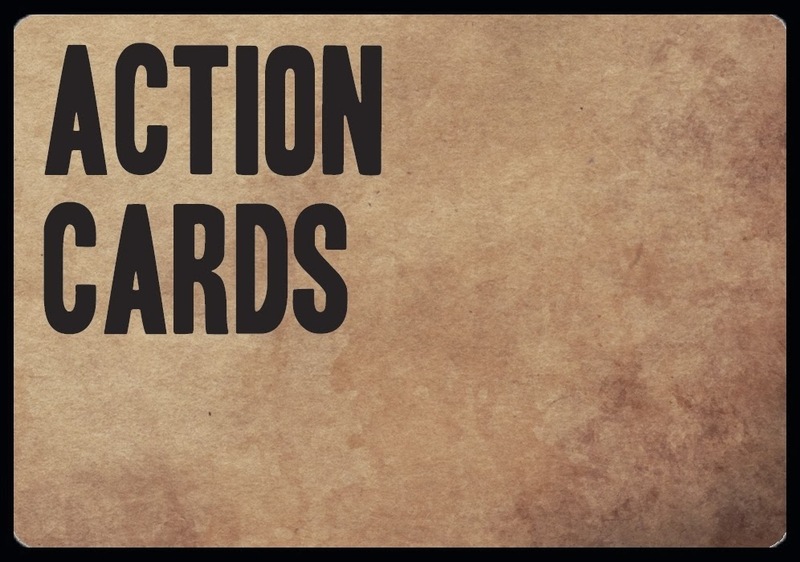 We will use Action Cards for all parts of the game. While you will have different characters for the different portals, some elements will carry over- in particular a portion of your play deck. I’ll have the full details on the system mechanics a little bit later. I’ll be aiming for a streamlined version of Action Cards. We will use dice for damage, since everyone loves rolling dice for damage. How Will We Choose the Portals? I will put forward a set of options, for a set of 4-6 portals per player. As a group you can choose which ones you’d like to play. I recommend some discussion on this. You might want to pick a variety of different types or make them all the same. I’ll leave final choices to each player individually however. Ideally you should pick something you want to play in and you think others would enjoy. We will cycle between portals over the course of the campaign, finishing stories in one before moving on. What Are We Going to Do the First Session on 1/18? Talk about characters and sketch out some details, including aspects. Figure out some more of the world background. Discuss and pick the portals for everyone. Perhaps even play out a scene or two. Kenny asked for a preview of the Portal choices for OCI. Below I’ve presented a title, a ‘pitch line,’ and a set of tags. I have a more detailed description of each, but I’ll hold off on that until Saturday. This should give you a taste and get you thinking. The tags offer a rough sense of what I think the portal will be about and what the players will do. Just because a portal doesn’t have a tag doesn’t mean it won’t have any of something. For example I’ve listed “Fighting” on a couple of the portals below. That just means that there’s likely heavy emphasis on combat in that setting. You will each have the opportunity to pick one portal. You’ll also get to put forward a couple of phrases or aspects to help shape that portal. For example you might want something to be lighter or darker in tone. We’ll talk about that at the table. Don’t worry too much about that. The important thing is that you’ll have some say in what the portal’s like. In some cases below I’ve listed a game as “Open”. That means we’ll use some form of Microscope to set up the world. Again, this is just a teaser. Feel free to hit me with any questions.